Awards celebrating the craftsmanship of homebuilt boats have been an institution at OkoumeFest since the earliest days. These are the winners and nominees, chosen by John and Nick using criteria that combines admiration, superstition, graft, and corruption. A repeat winner who prefers to be known as Red the Cajun built this lovely strip-planked cypress SUP to his own design, and it won Best SUP. Sarah McGilly brought this Chesapeake 16, which she purchased, restored, and slightly modified. 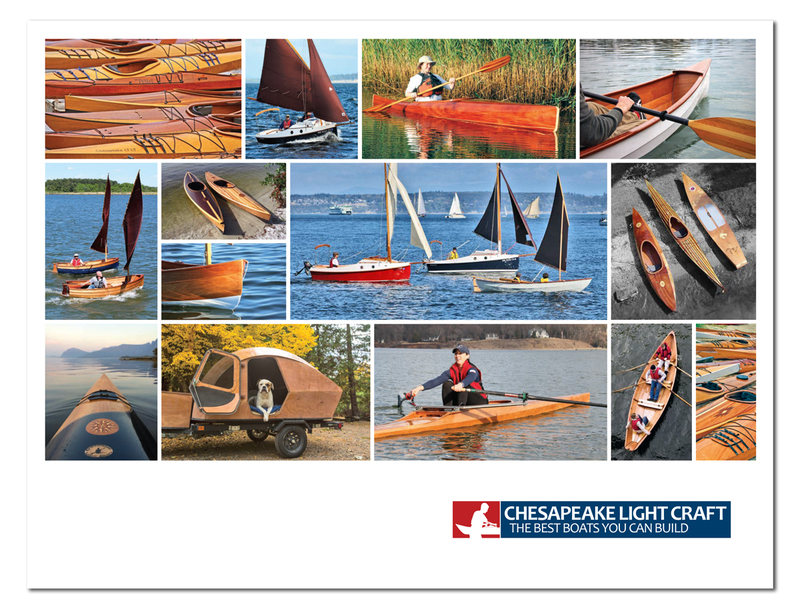 This is a Patuxent 19.5, a fast kayak dating back to CLC 1990's-era catalog. Tasteful modifications include a built-in skeg/rudder scheme. This matched pair of Night Heron Hybrid kayaks was built by Thomas Suppan as a fifth anniversary present for his daughter and son-in-law. That's quite an anniversary present. Thomas won Best Kayak for his very lacy execution of the strip-planked decks. These ignited a perfect storm of interest on Facebook. This unusual, lightweight boat was in the awards area. Demonstrating a very different approach both in construction and hull design, we were inclined to award this sleek black craft a prize for originality. Alas, we could not locate the owner, so its ingenuity shall go unheralded. This nicely polished Northeaster Dory appeared on Saturday, but left before judging. It was built a few years back in one of our classes. Laszlo Morocz first launched this modified Phil Bolger schooner at last year's OkoumeFest, but wasn't able to have it in place in time for judging. He made it in good time this year and won Best Smallcraft. He calls this light and fast schooner "Puzzled Mullet." Laszlo also won our annual "Most Spars" prize, awarded to the boat with the largest number of masts, sails, booms, yards, and sundry sticks. We had to change the rules a little to allow a repeat Best in Show winner. This Shearwater 17 Hybrid, built by Dan Thaler, was just that good, in every way. Great joinery, understated ornamentation, everything perfectly sorted. Dan Thaler with his Best in Show Shearwater 17 Hybrid. Thanks to everyone who came out for OkoumeFest 2014. See you next year!